Come in number 9, your time is up? A shortage of goals and appearances and a worsening disciplinary record have defined Andy Carroll’s West Ham career. Time to cut the losses? Just imagine that you have a history of stealing cars. Eventually you are caught and are sentenced to a short term in prison for your misdemeanours. In the week leading up to your release you criticise those people who had supported you for years, because they had had enough and had walked out on you. The prison gates slam shut behind you and you are free. You walk out having served your sentence. You spot an unattended car parked at the side of the road and then immediately break into it and drive away. You have only been out of jail for a matter of seconds and you break the same law again. Luckily for you, although there are many people around that see you do it, the policeman walking by probably thinks that you are getting into your own car and somehow doesn’t spot the fact that you have broken into it, although everyone else can see it quite clearly. We all witnessed a similar scenario last Sunday in the Watford game. David Moyes could quite easily have been managing a team reduced to ten men after six seconds in his first game in charge. With the benefit of hindsight it probably wouldn’t have made much difference, as even with eleven versus eleven we were totally outplayed. To many it looked like Andy Carroll was determined to get himself sent off, just as he had been in his last appearance for us in the Burnley game for which he received the customary ban. I hope that wasn’t really the case, but his style of play, which a few years ago brought him international caps for the unorthodox attributes he brought to a team, now seems to have become even more physical and is attracting even more attention. Money shouldn’t really come into it, but many on social media liked to point out that the amount he earns in a week is considerably more than that earned in a year by virtually every single person who pays to go and watch him and his teammates perform throughout the season. I was astonished that the referee Andre Marriner didn’t send him off for that early challenge. Of course I was relieved that our numbers wouldn’t be reduced so soon in the game, but couldn’t believe that he missed it. Perhaps it was because the game had only just started, or perhaps he didn’t see it clearly, or perhaps he thought it was an accidental clash, but whatever the reason he didn’t even book him for that (although he did receive a yellow card later in the half). The media were virtually unanimous in their view that he should have seen a red card, and even many of our own fans were reluctantly in agreement with that view. For much of his time with us I have been a big supporter of his aerial ability and the potential goal threat that he brought to our team. I don’t know if it is the injuries that he has had over the years but to me he doesn’t seem the player he once was. 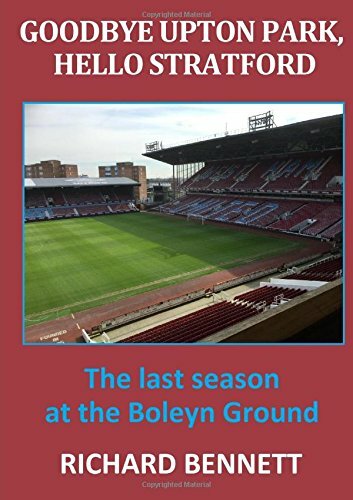 And when he is in the team the players have adopted a route one style, and the managers have followed a game plan to play to his strengths, to the detriment of trying to play the “West Ham way”. Many argue that the goalscoring statistics for a record signing England international number 9 are not too impressive. He is now into his sixth season and has played in over 100 games for us in the Premier League and scored 30 goals. He has never once reached double figures for us in a season. His supporters will point to his assists and mere presence on the field of play creating goal scoring opportunities for others, but his detractors are not convinced by this and are a little more doubtful of this benefit to the team. In 85 Premier League games for Newcastle and Liverpool before he joined us he scored 21 times, so his top flight record here is merely on a par with his previous tally. It would be great if he could turn it around and prove his doubters wrong. Many fans cannot see it happening, and would like to see us play without him, using players with greater mobility and pace in attack, and no longer relying on pumping long high balls up to him to win in the air and knock down for others. How many goals have we scored in this fashion, particularly in recent times? And finally, just a thought on the standard of poor officiating and inability of referees to see things that so many others clearly see, I happened to catch some on the Brighton v Stoke game on Monday evening. Lee Mason was the man in charge, and he made one of the all-time poor decisions in my view. Glenn Murray of Brighton was in the box heading goalwards when his feet were taken away by Ryan Shawcross. The uncompromising Stoke centre back completely missed the ball, and as Murray fell he grabbed hold of the ball, convinced he was about to be awarded a penalty. The ball did not go anywhere near out of play, yet the referee waved away claims for a penalty and pointed for a corner. It either had to be a penalty (which Shawcross admitted in his post-match interview that it definitely was) or either hand ball against Murray. By giving a corner the referee was perhaps trying to compromise, when in fact it was quite a ridiculous award to make. Astonishing. Some still believe that Andy Carroll should be involved in the England set-up, as he would provide an alternative tactic, especially if England was chasing the game. But it seems that Gareth Southgate doesn’t agree. Perhaps he feels like many others that he doesn’t score regularly enough, or that international referees would not take too kindly to his style of play. It will be interesting to see if he makes the starting line-up tomorrow night.